One of the most debatable subjects among Christians is the Millennial Kingdom in which Christ reigns from Jerusalem for 1,000 years. There are those who think it is merely allegorical; that God's Word is simply trying to communicate "a long period of time". But the Christians of the first and second centuries believed in the literal 1,000-year reign of Christ on this earth. These early Christians all expected Christ to return to the earth to establish His Kingdom for 1,000 years, and they believed this was why Christ taught them to pray "Thy Kingdom come, Thy will be done, on earth as it is in heaven." Papias and Polycarp were two of these early church fathers who believed in the literal Millennial Kingdom. But over time, some leading Christians began to teach that the Kingdom was allegorical rather than literal. Specifically, Clement of Alexandria, and Origen of Alexandria (both in the 2nd and 3rd centuries) "spiritualized" the 1,000 year reign. In addition, in 373 A.D., the Council of Rome under Pope Damasus [and the Catholic Church] taught that there would be no return of Christ to set up His earthly Kingdom, and that the Roman Catholic Church itself would gradually convert the world, and the promises of the Kingdom would be fulfilled by the triumph of Catholicism. Today, the Protestant Church has introduced "replacement theology", which also allegorizes the Millennial Age and Kingdom, teaching that there will be no restoration of Israel; that the “church” replaces Israel; that Christ will not return visibly to this earth to set up His Kingdom; and that the “church” will convert the world, bringing in a golden age. Notice that all the allegory theories are the inventions of men. As a Christian, I prefer to take my instruction from the Word of God and what He tells me in Revelation 20:2-7, where He mentions the literal 1,000 years no less than six times. The Land Covenant. God has already fulfilled the personal aspects of the Abrahamic Covenant; Abraham did go to the Promised Land, he did have many descendants, and he is the forefather of many nations. Several hundred years after Abraham, Joshua led the Israelites to claim ownership of the Promised Land. 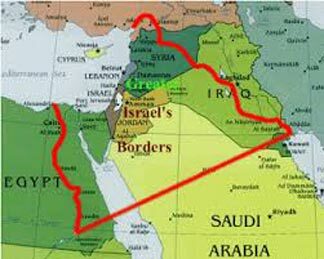 But Israel has never possessed the specific boundaries that God promised in Genesis 15:18–20 and Numbers 34:1-12. Not even Solomon ruled over this particular area. Although he did reign from the River of Egypt to the Euphrates, he did not hold the area from Mount Hor to Hazarenan — into present-day Lebanon and Syria. In addition, the covenant God made with Abraham was that he and his descendants would have the land for eternity (Genesis 13:15; Ezekiel 16:60). The current Israeli state may be a step in this direction, but they still do not possess the boundaries God laid out. But all that will change in the Millennial Kingdom, and this covenant will be realized. The Davidic Covenant. God’s covenant with David was that his line would never die out and that David’s heir would sit on the throne of Israel forever (2 Samuel 7:16). Biblical scholars agree that Jesus is the fulfillment of this covenant—one of the reasons His genealogy is given for both His step-father (in Matthew), and His mother (in Luke). The Jews understood this when they laid down palm branches and their cloaks as Jesus rode into Jerusalem. They expected Him to be a military/political leader that would liberate them from the Romans and make Israel a great nation again. But they didn’t understand that the nature of Jesus’ work at the time was for the New Covenant, not the Davidic Covenant. 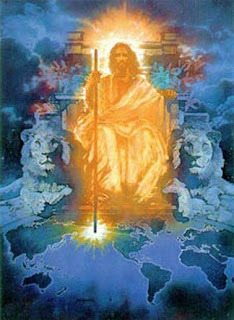 The 1,000-year reign will be the beginning of Jesus’ eternal reign over Israel and the earth. At this time, David's human heir will sit on His throne in Jerusalem, and reign forever. The New Covenant. This is perhaps the most misunderstood by Christians. There are those who take this to mean God's covenant with us, those of the Christian faith who have accepted Jesus as our Savior. Yes, the work of the New Covenant—Jesus’ death and resurrection to reconcile hearts to God—has been accomplished. But we have not yet seen the complete fulfillment. Jeremiah 31:33 says, “But this is the covenant that I will make with the house of Israel after those days, declares the LORD: I will put my law within them, and I will write it on their hearts. And I will be their God, and they shall be my people.” Ezekiel 36:28 gives more specifics: “You shall dwell in the land that I gave to your fathers, and you shall be my people, and I will be your God.” There is still work to be done to reconcile the hearts of the Jews to their God, who is now our God. Isaiah 59:20–21 explains that this covenant is possible because of the Redeemer, and the reconciliation He provides for the Jews will last forever. This covenant does not mean that every Jew will be saved. But it does mean that Israel as a nation will worship their Messiah. The Old Testament prophets who spoke of this covenant, including Isaiah, Jeremiah, Hosea, and Ezekiel, all wrote that it will be fulfilled in the future. From their time on, Israel has yet to be an independent nation that worshiped its Messiah (please read Romans 9—11 for God's plan of redemption for His chosen people). They will be that nation in the 1,000-year reign of Christ! Other Promises Fulfilled. These are the covenants God made with Israel that are to be fulfilled in Jesus’ 1,000-year reign, but the Bible lists other promises that will be fulfilled, too. God promised Jesus He will make His enemies a footstool, and that Jesus’ followers will worship Him freely. God promised the nations of the world that they would live in peace with Jesus as their ruler. And He promised creation that the curse would be lifted, animals and the earth would be restored to peace and prosperity, and people would be freed from disease. These, too, will be fulfilled during the 1,000-year reign. There's more to the Story. If we are going to believe the literal interpretation of the Millennial Kingdom, it is important that we understand that these unconditional covenants demand a literal, physical return of Christ to establish His Kingdom. At His Second Coming, these covenants will be fulfilled as Israel is re-gathered from the nations, converted, and restored to the land under the rule of the Messiah, Jesus Christ. The Bible speaks of the conditions during the Millennium as a perfect environment physically and spiritually. It will be a time of peace, joy, and comfort. The Bible also tells us that only Believers will enter the Millennial kingdom -- some who live through the Tribulation Period, and some who come back with the Lord at His Second Coming. Because of this, it will be a time of obedience, holiness, truth, and the knowledge of God. This can only happen if Satan is bound for the 1,000 years. Revelation 20 tells the entire story: Satan will be bound in the Abyss during this period and the Messiah Jesus will be the benevolent dictator ruling over the whole world; Jerusalem will be the political center of the world. The resurrected saints of all times will participate in the management of the government. 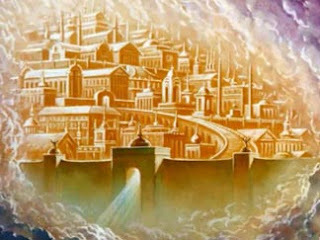 The Believers who live through the Tribulation will be mortal. They will live and repopulate the earth during the Millennial Kingdom. Without the devastation of sin taking its toll, we can imagine the population increase during the Millennium will be enormous, almost incomprehensible. All those who are born during the Millennium will enjoy the benefits and blessings of Christ's reign on the earth, but they will still be born with a sin nature, and they will still have to freely repent and believe the Gospel, personally choosing Christ as Savior and Lord. Yet, at the end of the Millennial Reign, Satan is loosed and is able to deceive a vast multitude to follow him in one final rebellion against the Lord of glory and His saints, gathering them to battle (God and Magog)! As a Believer, I naturally have lots of questions as to why this is part of God's plan, but I do not doubt Him. The one thing I know for sure is that Mankind will have been living in a perfect environment with every need cared for, overseen by a truly just government, yet they are still tempted to do better. Man simply cannot maintain the perfection that God requires. Even though the number who rebel with Satan are said to be "as the sand of the sea" (Revelation 20:7), they may still be a minority compared to the number who do not rebel. Yet, it will still be a large number of souls who join Satan. But at the end of the Millennium, the final rebellion is crushed, and Satan will be cast into the lake of fire. Then comes the Great White Throne Judgment where all the unrighteous of all of the Ages will be judged according to their works, and anyone not found written in the Book of Life will also be cast into the lake of fire. My main purpose for presenting this post to you was to show you that Jesus’ 1,000-year reign will be a fulfillment of God's promises and prophecies given to Israel; and the promises made to Jesus, the nations, and the whole earth. God promised He would bless Israel and restore the world in specific ways, and He will. We have much to look forward to ... After the final judgment, God and His people will live forever in the New Jerusalem, on a new earth with a new heaven (Revelation 21). God’s plan of redemption will have been completely realized, and the redeemed will know God and enjoy Him forever. What a blessing that we can take God at His Word! Thank you to the website got questions.org for its invaluable Scriptural and historical references. Revelation 22:20-21 He who testifies to these things says, “Yes, I am coming quickly.” Amen. Come, Lord Jesus. The grace of the Lord Jesus be with all the saints. Amen. Excellent article Belle. However, I believe the literal translation of the river of Egypt is the "Wadi of Egypt" that is in the Sinai Peninsula. If the boundary is extended to the Nile River, you are in the land of Mizraim and it would actually extended south into the land of Cush (Northern Sudan). Those lands were not a part of the Abrahamic Covenant, only the land of Caanan. The land of Caanan did not extend to the Nile River, but to the Wadi of Egypt. The northern border was indeed the Euphrates River (the northern border of Syria. I believe we will see this land prophecy fulfilled fairly soon as a part of the fulfillment of the Psalm 83 war prophecy that encompasses these lands. The Six Day War had the same countries as the Psalm 83 description, but the outcome was not the same. Therefore, we should expect that fulfillment in the near future. The stage is certainly being set in Syria right now.